Purchase your tickets now to enjoy this amazing event! Giddens Gallery of Fine Art, owned by John and Cherie Giddens, offers work from a vast variety of highly acclaimed Texas artists. Filling the walls of this diverse gallery are paintings of every style and medium plus sculptures in glass, wood, clay, metal and minerals. Giddens Gallery of Fine Art main purpose for Gallery Night is to satisfy your appetite for Fine Art. However, to enhance the experience they are including some upscale tasty Hors d’oeuvres paired with signature wines. Great American West Gallery, is the only exclusive Western fine art gallery in Texas specialized in original Western paintings and sculpture from the very best national artists working today as well as the deceased Western masters. 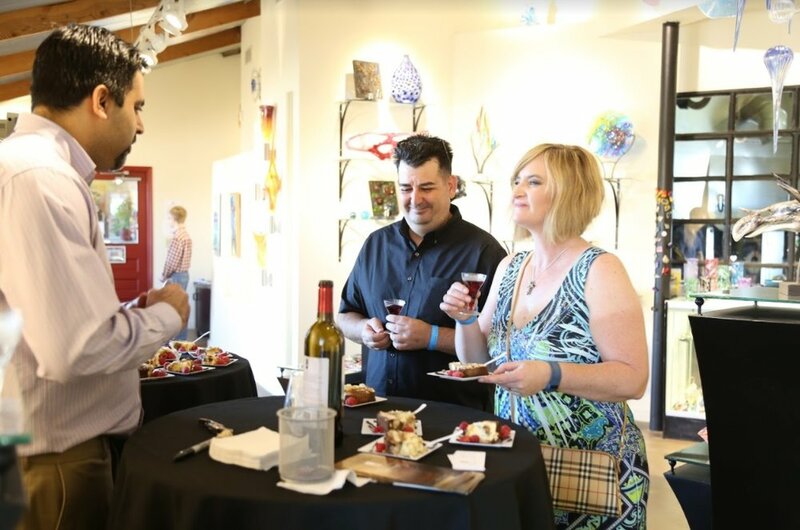 Located in a restored late 19th century bank building on Main Street in Historic Downtown Grapevine, the Great American West Gallery presents its available artwork in a beautiful setting with brick walls and hardwood floors. Holder Dane Gallery & Art Studios is located at the historic train depot area alongside the new Tex-rail station. Their artists range from Ann Hardy’s old master style oil paintings to Maria Hunt’s large abstracts to the bronze long legged figures by Lorri Acott. 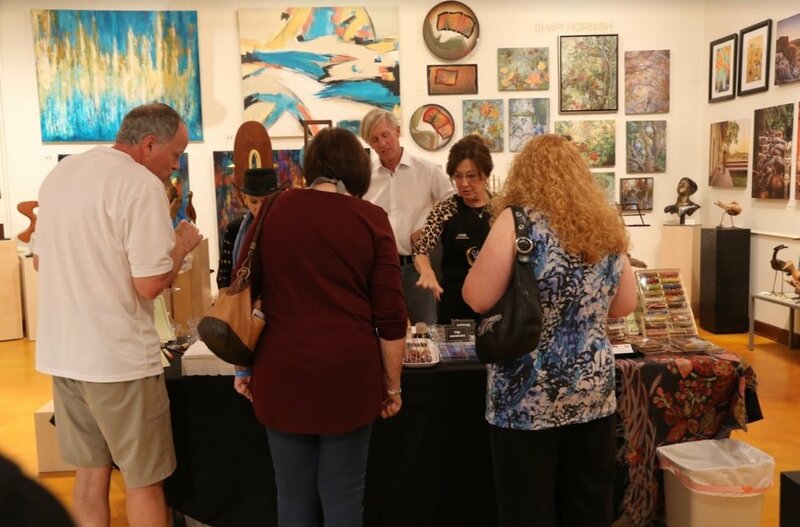 Pastels, colored pencil drawings, photography, clay sculpture, fine pottery, contemporary jewelry, portraits…you will find all of this and new work at Holder Dane Gallery & Art Studios. Holder Dane Gallery artists will be joining us for this evening of art, food and wine. Resident artists Deborah Allison our portraitist, painter Donna Palmersheim’s birds and sculptor Natalie O’Neill will be in the studio to talk about their techniques and inspirations. 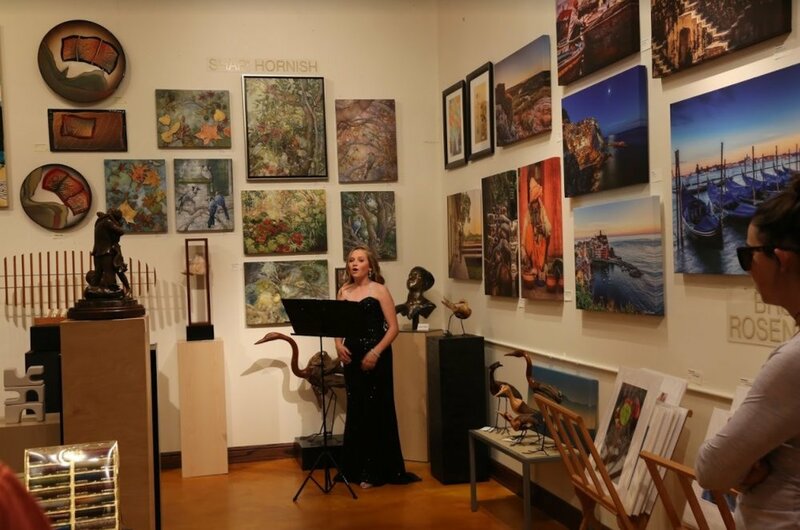 It is always a welcoming art filled evening at Holder Dane Gallery when artists and guests enjoy another very special “taste filled” spring Gallery Night. The Tower Gallery, located in the Grapevine Convention & Visitors Bureau building, will be hosting the photography exhibition “4 Lenses”. The show is featuring work by Bruce Rosenstiel, Lindsey Barker, Mike Reyher, and Ray Maines. Vetro Glassblowing Studio & Gallery, located at the train depot, surrounds you with a cascade of color in vibrant glass sculptures and delightful light filled objects. The Vetro gallery houses many fine glass artists’ work and glass jewelry. Always a source of entertainment is the performance of the glass blowers choreographing their skills in front of the glowing glass creations.